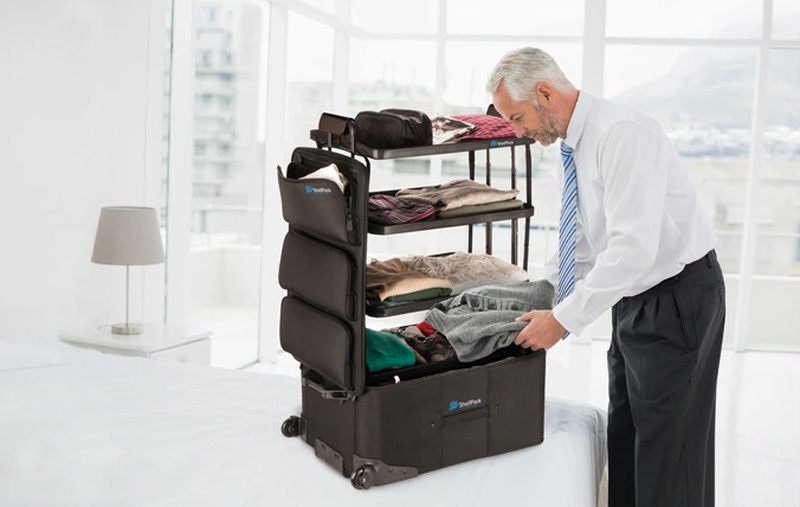 According to the clever guy who started this cool Kickstarter project, the last major innovation in suitcase design was in the eightees, with the invention of wheeled cases. 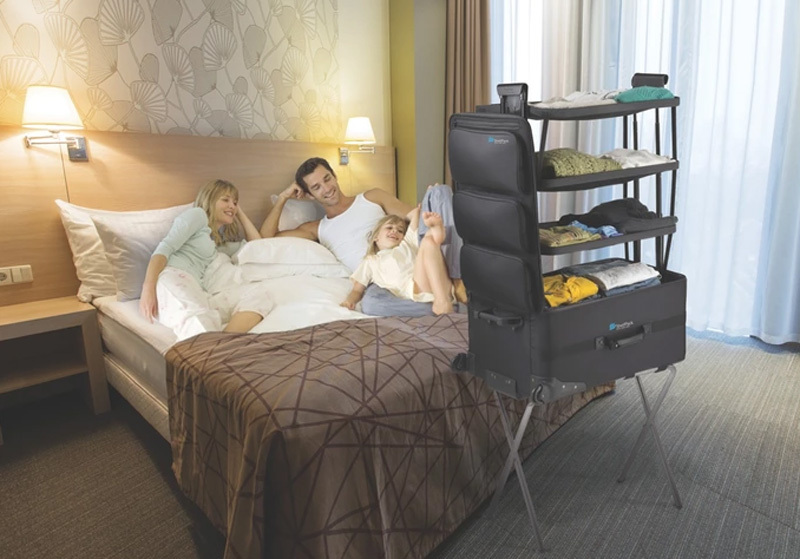 A new invention like the ShelfPack was definitely welcome to bring some change in the industry, but will it spark a “revolution” in the travel industry? 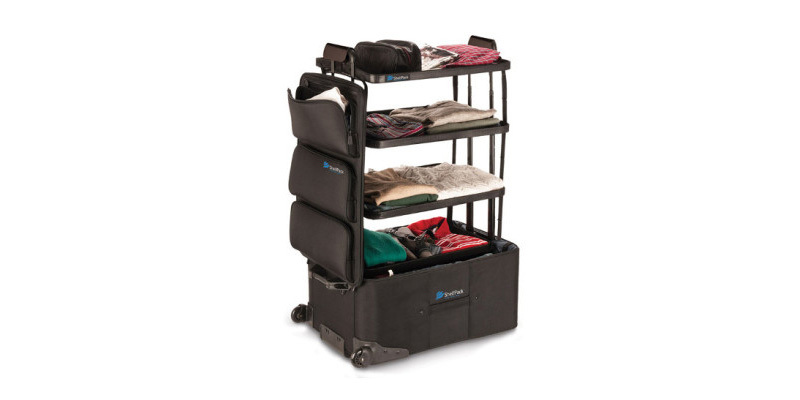 The idea is clever and very practical for keeping things organized on the road, or separating several people’s clothes in a suitcase. However, there are a few question that come to mind upon seeing it. How heavy is this suitcase? The answer is on the Kickstarter page, it weighs 6.5 kg, which is pretty much double of many suitcases with the same size. 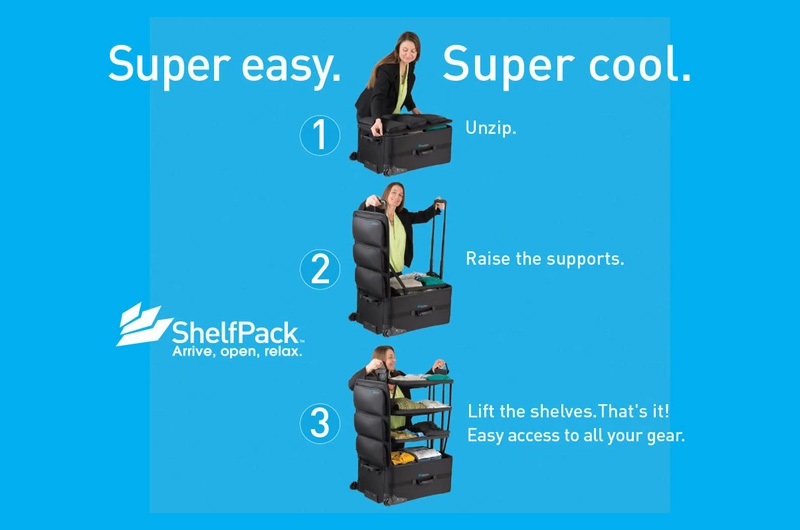 Also, is that structure inside the luggage a waste of space? 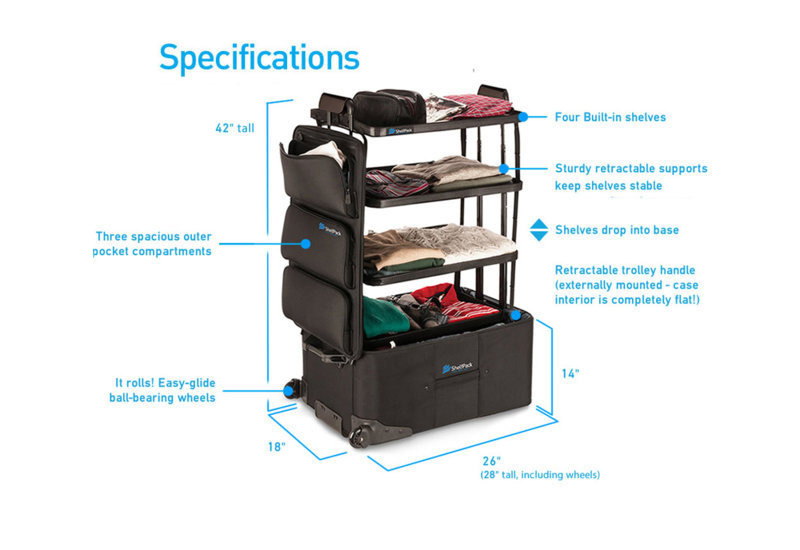 If you travel lightly, that’s not an issue, but if you like to carry a lot of stuff, you will probably not be satisfied with the ShelfPack. 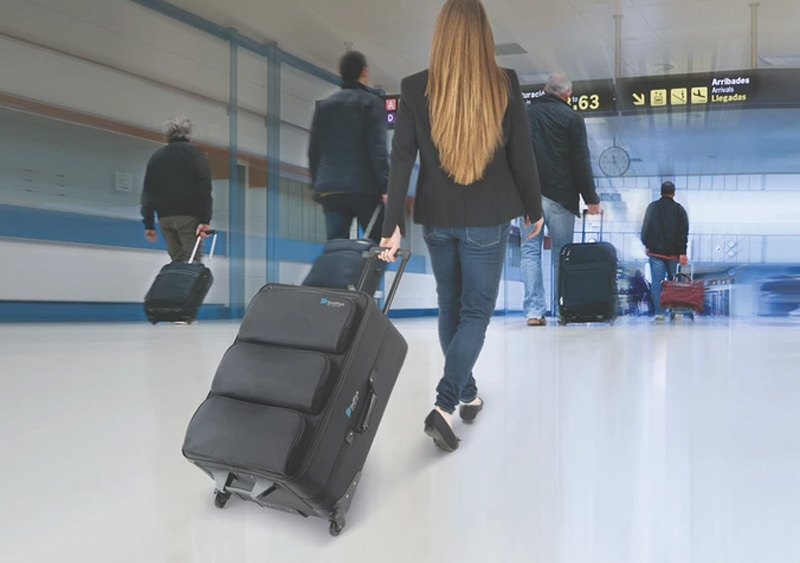 The design of the suitcase and the basic concept are really clever and well-executed, though. A simple to use shelving system can be extracted with a telescopic system. Once in place, you can arrance your clothes and other stuff in the shelves, then put it back in place. The pocket compartments on the front cover are also well designed and more practical than what you see on most suitcases. The only other drawback I would see at the moment would be the price, which is quite expensive. 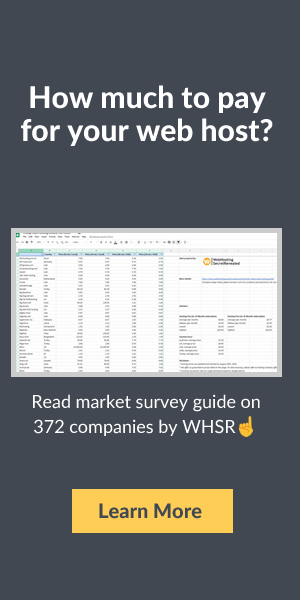 It’s understandable as the creator probably doesn’t the resources big companies have to build his product, but the starting price of $250 is quite high (and it isn’t available anymore). The project was already largely funded, but if you really like the idea and want to support the guy behind this clever idea, just head to Kickstarter.